Luis Armando Pena Soltren, a fugitive for 41 years, was sentenced Tuesday in federal court in New York to 15 years in prison for his role in the Nov. 24, 1968, hijacking of a Puerto Rico-bound Pan American flight 281 to Havana from JFK Airport. After being on the run for decades, Pena Soltren, 67, a U.S. citizen, voluntarily surrendered in October 2009. He pled guilty in March. “Today’s sentence of Luis Armando Pena Soltren for the violent hijacking in which he participated more than four decades ago should send a strong message that we will vindicate the interests of justice no matter how long it takes,” said U.S. Attorney Preet Bharara. 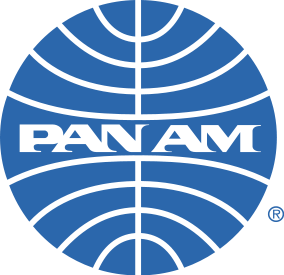 Authorities say on Nov. 24, 1968, Pena Soltren and co-conspirators Jose Rafael Rios Cruz and Miguel Castro boarded Pan American flight 281 bound for San Juan, P.R. After the airplane took flight, the defendants, wielding pistols and knives, forced their way into the cabin of the airplane and ordered the crew to land in Havana. Cruz, 69, was apprehended in 1975 and Castro, 80, was captured in 1976. Both pled guilty to threatening the lives of flight crew members. Cruz was sentenced to 15 years and Castro got 12. During sentencing , U.S. District Judge Alvin Hellerstein described Pena Soltren’s actions as being “considerably more serious” than those of his co-conspirators, the U.S. Attorney’s Office said. Posted: 1/5/11 at 12:04 AM under FBI, News Story.